One of the best recommendations I have before you blindly try to see Key West is to pick up one of the many travel guides that are found on the island. Most of these have valuable coupons for lodging, restaurants, ferries, museums, and other attractions. 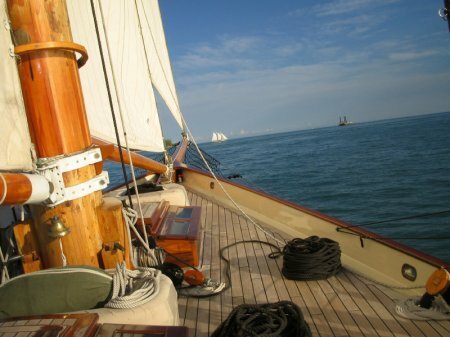 Another spectacular source of information about Key West is www.keywest.com. This site should be able to fill your cravings for anything that is located in Key West. They have plenty of travel information to satisfy your curiousity. Parking is a bit tight in Key West due to the limited space on the island. If you have a hotel near historic old town, I would recommend leaving your car parked at the hotel’s parking lot and walking to all the shops and sights. Parking downtown is very tight and hard to find parking spots. There is a park and ride garage located on the corner of Caroline and Grinnell Streets. There are 308 parking spaces available. The following are companies that will take you out in the local waters, either on dive or snorkel trips. There are also several companies that have booths on Duval Street and they also offer dive and snorkel trips. A half day of snorkeling was about $25. All phone numbers are in the (305) area code unless otherwise noted. cookieladyofkeywest.wordpress.com remember the Cookie Lady of Key West at Mallory Square? You can buy her cookies and other assorted items online!